For NY horse racing at its finest, check out any of these popular New York horse racing tracks. Find out all the information you need to know about horse racing in New York. One of the Most Famous Horse Race Tracks in New York! Sometimes referred to as "The Racino," Saratoga Casino and Raceway is a much-visited track that has been racing Standardbreds for over 70 years. Races typically take place from late July through early September. One of the most popular destinations for horse racing in New York, the Saratoga Raceway was even featured in the James Bond movie, Diamonds are Forever. After you enjoy a fun-filled day at the races, you can eat a fabulous dinner at Fortune's Restaurant. Both the menu and buffet items are absolutely exquisite! Plus, the track is visible from every table in the venue! See New York's Horse Racing! Here at Aqueduct Racetrack, horse racing enthusiasts come from all over New York and enjoy the race. It is one way of having fun at the race track with the thrill of seeing your favorite racer win. The races typically start at the end of October and go until April. A popular place for equestrian sports enthusiasts, Aqueduct Racetrack is the perfect place to see some renowned races and appreciate the spirit of the sport. So visit Aqueduct Racetrack today and enjoy the spectacular sport of horse racing. Experience Exciting Horse Racing At Buffalo Raceway! 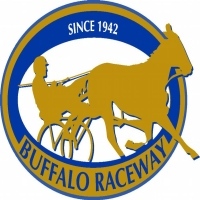 Buffalo Raceway is a place where the best of New York's horse racers come to compete for the games. It is a place where horse racing enthusiasts come to make their bets and just enjoy the spirit of the game. Buffalo Raceway is where you can enjoy fine dining or just stay at their casinos for an amazing time. So visit Buffalo Raceway today and enjoy the spectacular racing featuring some of New York's finest horse racers. For more information about the schedules and events please visit the website. Belmont Park Race Track, Home Of The Champions! 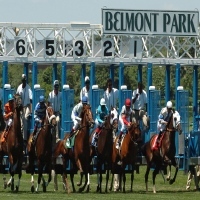 Belmont Park Race Track is located in Elmont in the Town of Hempstead in Nassau County, New York, on Long Island adjoining New York City. It is a famous place for horse racing and the home of many world class horse racers. It is a place where you can enjoy the essence of the game where you will be at awe from the spirit of the sport. The place also has some great 1st class restaurants and recreational centers great for spending time with your family and friends. So come to Belmont Park Race Track today and enjoy the equestrian sport of horse racing. Fun Horse Racing At Finger Lakes Race Track! Established in 1962, Finger Lakes Race Track is the place where exciting horse racing and entertaining recreational activities can be found. It is a place where you get to see live thoroughbred racing, located in the heart of the Finger Lakes region of New York. There are many activities you can do in the area, such a betting on race horses, eating fine dining in first class restaurants or just enjoy the beautiful sceneries of the place. 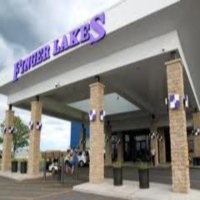 Finger Lakes Casino & Racetrack is open year-round for thoroughbred racing excitement. In addition to a live racing schedule that typically spans from mid-April through early December, simulcasting from the country's top tracks is available during the winter season. Monticello Raceway, A Place For Horse racing Enthusiasts! Monticello Raceway is a place where you get a lot of excitement and thrills during every horse race. A harness racing track and home to a relatively new racino in Sullivan County of New York. Come spend your vacation at Monticello Casino and Raceway where you get to enjoy the game of horse racing or spend the day at their world class casino. So come to Monticello Casino and Raceway and enjoy the great service that they can offer to you. For more information please visit the website or call. 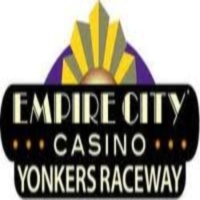 Horse Racing And Recreational Activities At Empire City Casino! Enjoy a vacation in New York with your family or friends here at Empire City Casino. 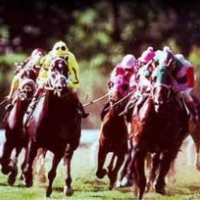 It is a place where world class horse racing is held and a place for relaxation and enjoyment. One way of making quick cash is through making bets at the horse race, which is a fun and thrilling thing to do at the racino. So whenever you plan to watch world class live horse racing come to Empire City Casino, where you will definitely have a great time. Make your reservations today and enjoy the fun that Empire City Casino can offer to you. 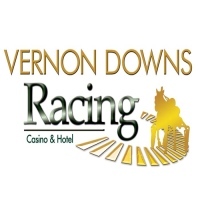 World Class Horse Racing At Vernon Downs Casino & Hotel! If you're looking for a great vacation destination where they have it all, come to Vernon Downs Casino & Hotel and enjoy the great casinos and the spectacular horse racing. Races typically go from April to November. The place features some of the greatest races in New York. A perfect place for horse racing enthusiasts and vacation seekers, where all your needs are met. So come to Vernon Downs Casino & Hotel and enjoy the great service and the complete amenities that is has to offer to you. A Fun and Affordable Place to Enjoy Horse Racing! 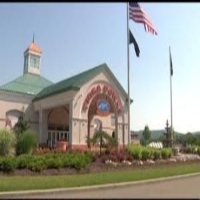 Tioga Downs Casino & Entertainment is a place where great racers compete for the games. It is a place for great family entertainment and for hanging with friends. The racino is a place equipped with all the essential amenities and first class service. So come to Tioga Downs Casino & Entertainment today and enjoy all the great service and entertainment the casino can offer. It is a great way to relax and enjoy with all your needs taken care of. Fun Horse Racing At Batavia Downs Casino! 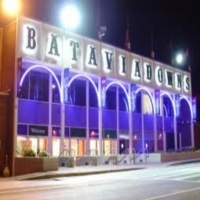 Here at Batavia Downs Casino, located in Western New York, you will absolutely love the spectacular horse race and enjoy placing bets on your champion. It is a place where many famous horse racers of New York come to compete. The racino is complete with all the amenities and great service, you will surely enjoy your stay here. 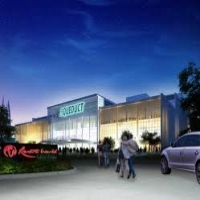 Batavia Downs Casino is a place where you get to enjoy gambling and live entertainment, also the racino has some of the best restaurants in town. So come to Batavia Downs Casino today and make your stay a wonderful experience.